Setting-up a new fish tank is no piece of cake. You have to know exactly which of its features will be perfect for you. Buying an Aquarium is a big decision. It just doesn’t affect the aesthetics of your home. You also have to keep it well-maintained. An aquarium buying guide includes everything you need to know before making a final decision. Let’s have a look at all the essential things to take into account before buying. Any aquarium buying guide will tell you to go for the glass tank. Glass has been a popular choice for many years. One of the main reasons is its durability. It doesn’t break easily. It also does not sustain any scratches or marks. It is easier to clean and very affordable to buy. Acrylic type of fish tank is a replacement for the glass tank. It became popular because it is not glass but it looks like one. It is slightly more costly than glass. It is preferred more because if it is struck by something heavy, it doesn’t shatter like glass. This gives you time to replace the broken tank easily. A braced fish tank is most useful when you need to have a capacity of over 300 gallons in the tank. It hides the water line from view. If you want to add a lid on top of the aquarium then having a braced aquarium is compulsory. A relatively latest aquarium buying guide will instruct you to opt for a rimless tank. It is more popular due to the clearer form of glass. However, it can only carry water less than 300 gallons only. It also exposes the water line which is not a pleasant experience for many people. However, if you want to have a reef ready tank, you should go for a rimless tank. It will display live coral with perfect clarity. A fish tank has many standard sizes. Small aquariums contain water from 2.5 to 15 gallons. They weigh between 3 to 22 lbs when they are empty. They weigh between 27 to 170 lbs when they are filled. Nano aquariums are a part of small-sized tanks. Medium-sized aquariums have the capacity to carry 20 to 40 gallons of water. Empty tanks weigh between 25 to 55 lbs. Filled tanks weigh between 255 to 455 lbs. Large tanks can carry 50 to 180 gallons of water. When they are empty they weigh between 100 to 338 lbs. When they are full they weigh between 600 to 2100 lbs. Equipment required for maintaining a saltwater tank is expensive when compared with freshwater tank. However, the saltwater fish are more colorful. The high maintenance needed for fish like angelfish and clownfish is completely worth it. It you are looking for a more affordable option, go for the freshwater tank instead. The decision to buy a new aquarium is not easy. You have to consider many important factors before you make your choice. 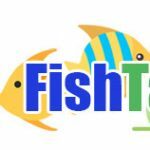 Visit FishTanksAndMore.Com to learn more about fish tanks and make the best choice for you! This entry was posted in Tips and Information. Bookmark the permalink.